I found this EP last year at a record fair for 1 Euro. 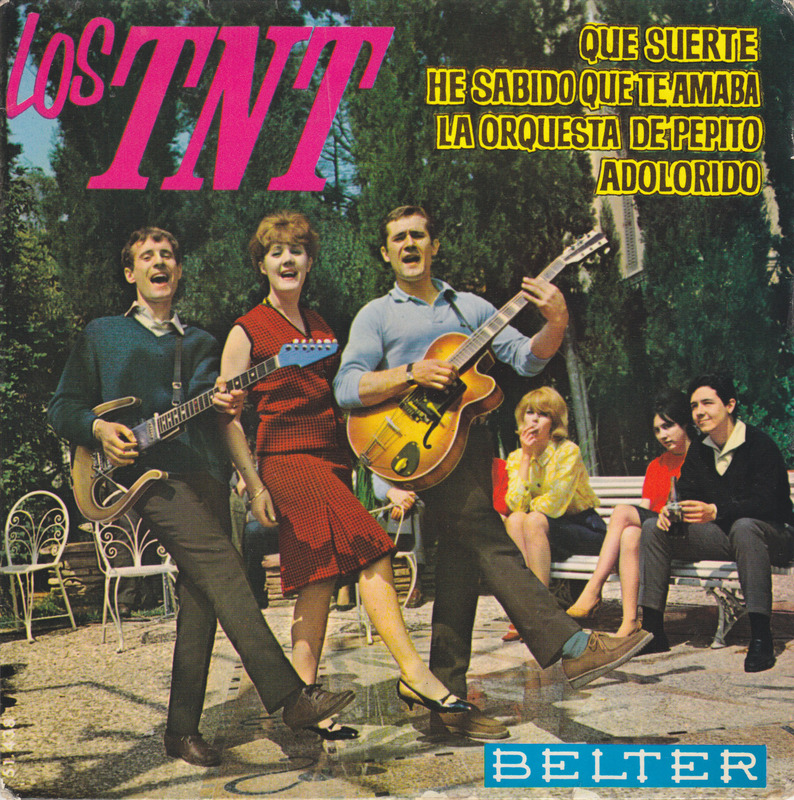 Italian-Uruguayan trio Los TNT recorded two dozen EPs between 1960 and 1965, many of them for the Spanish Belter label. 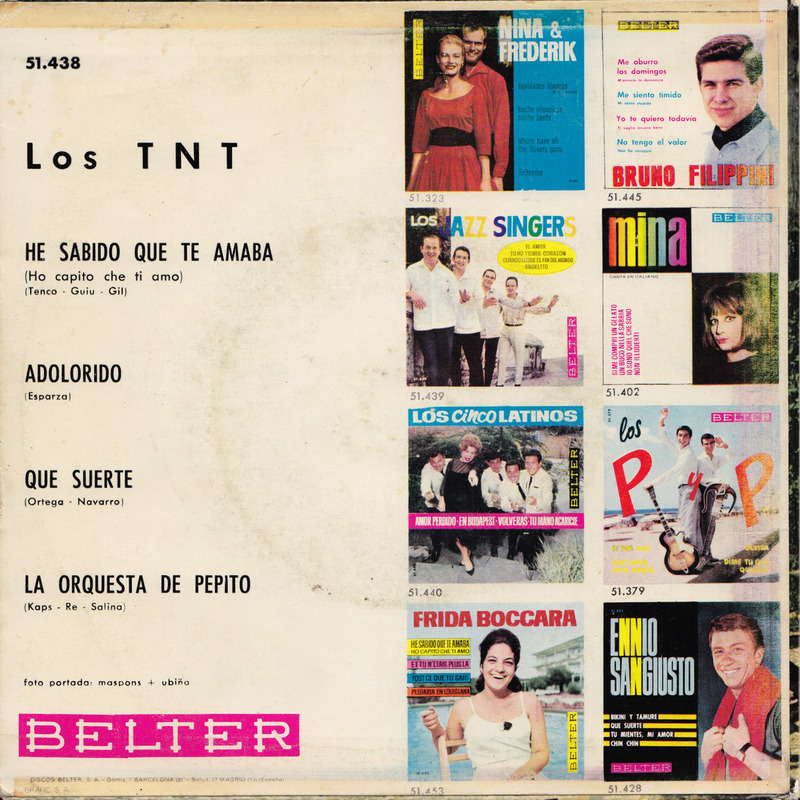 TNT was short for the first letters of the nicknames of brothers Edelweiss “Tim” Croatto, Hermes “Tony” Croatto, and sister Argentina “Nelly” Croatto. 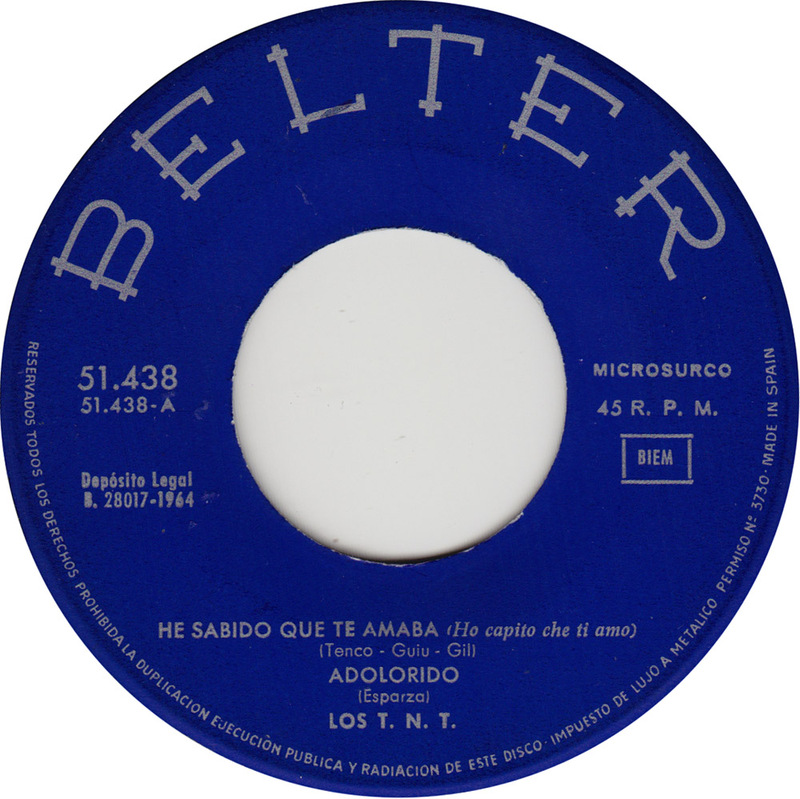 A lot of their songs have been featured on three CD re-issues in the late 90s. 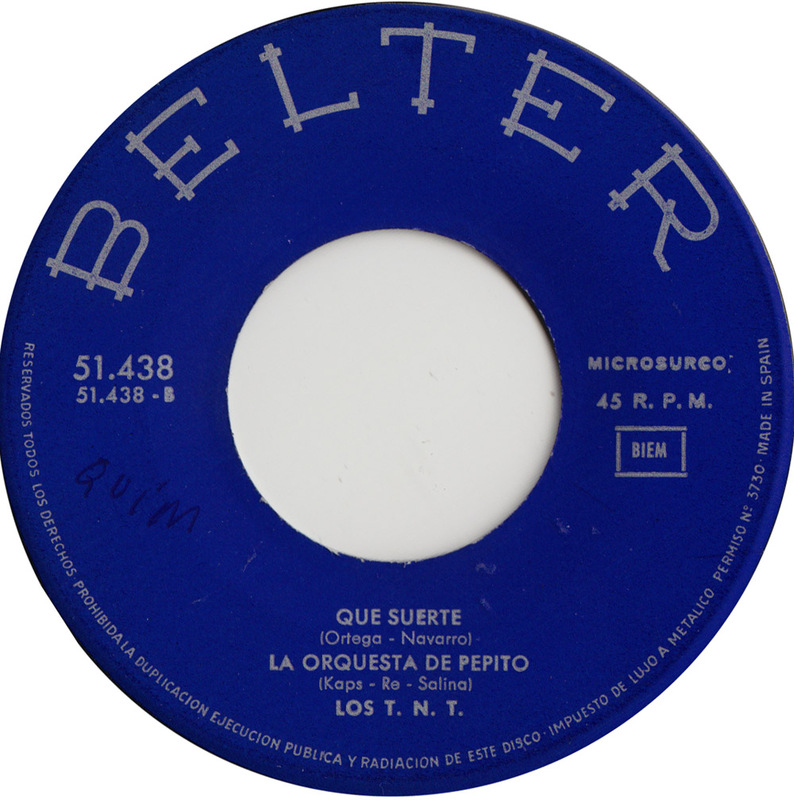 Que suerte is easily the best song of this EP. For some unknown reason it has never been re-released. That guitar is spectacular!!!! Wish I knew where it came from. Glad you like it! 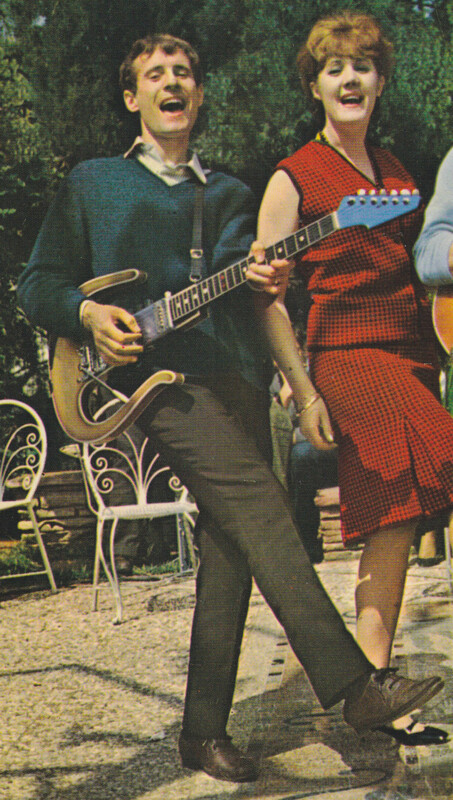 I don´t know who played the guitar, but I wouldn´t be surprised if it was Tony Croatto or his brother Tim. Anyway, it is great.